As we recap the year we can’t help but be humbled and blessed! Our In-Detail family is growing & we are near our 18th year celebration this January Market. 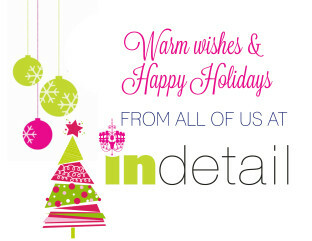 We hope you all had a wonderful year & wish you warm wishes and Happy Holidays!